The United States has provided over six billion – with a B – dollars in bilateral assistance to Palestinians. How much have the Arab countries – some of whom are wealthy countries – how much have they given to the Palestinians? It does not come anywhere close to what the United States has done. Words at the United Nations, or actions on the streets and in the schools of Palestinian communities? Which matters more? The Jewish state is secure enough to shrug off the world body’s longstanding rhetorical hostility. 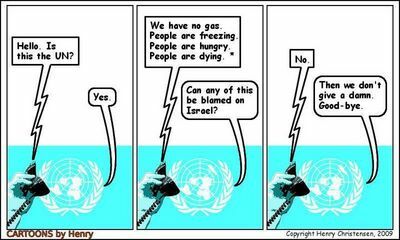 Israel is ruining the United Nations. The UNHRC has an inherent anti-Israel bias, says former Israeli ambassador to the United States. The UN’s World Health Organization just gave Israel its highest honor. So why did they also single out Israel for condemnation, while ignoring the whole rest of the world? During its 71st session, the U.N. General Assembly is set to adopt 20 resolutions condemning Israel… and 4 condemning the rest of the world combined. UNESCO’s repugnance does not have the same terrible daily impact, for instance, as demolishing Palestinian homes that were built without permits that Israel refuses to grant, but it is repugnant nonetheless and must be condemned without qualification. That Judaism’s connection to its holiest and most revered religious site is now the subject of official UN debate is humiliating not only to the UN, but to anyone who respects those pesky little things called facts.